Dr. Janardan K. Reddy, Professor Emeritus of Pathology at Northwestern University, is this year's recipient of the American Society for Investigative Pathology (ASIP) Gold-Headed Cane Award. This award, a mahogany cane with a 14-karat gold head and engraved band, is the most definitive honor granted by ASIP to a member in recognition of long-term contributions to pathology, including meritorious research, outstanding teaching, excellence in the field, and leadership in pathology. 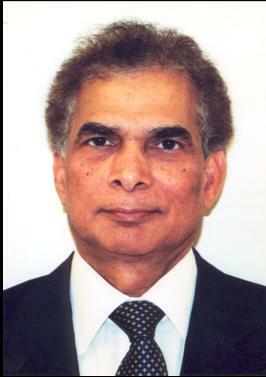 In his nearly 50-year career as a pathologist, investigator, leader and teacher, during which he achieved senior status in academic pathology, received acclaim for his research related to liver biology and in particular the field of peroxisomes and carcinogenesis, and participated in many international symposia, Dr. Reddy has demonstrated all the hallmarks of a world-recognized academic pathologist. He and his colleague, Dr. Sambasiva Rao, discovered that peroxisomal proliferation can be achieved by a variety of agents, including hypolipidemic drugs, and thus linked their biology to lipid metabolism — an impetus for the discovery of the peroxisomal beta-oxidation system. Dr. Rao stated that "in the last 30 years, no other single scientist contributed more to the understanding of peroxisome biology and peroxisome proliferator-induced hepatocarcinogenesis than Dr. Reddy; he has been universally recognized as a pioneer in this field." He described Dr. Reddy as "a man of reason, unaffected by power and achievements and always willing to help and guide anybody that approaches him. [He] is a great teacher with a unique talent for simplifying complex problems." In addition to his research, Dr. Reddy has excelled in educating and mentoring students. His exceptional teaching and advocacy of medical students and the field of Pathology was formally recognized with the George H. Joost Award for Outstanding Basic Science Teacher, an award given to the best lecturer at Northwestern University Medical School, which he received twice. According to one of his protégés, Dr. David Engman, "the very best mentors develop personal connections with their mentees. This is Dr. Reddy's greatest attribute. He met with each of us faculty members individually in formal meetings every six months and informally much more often…with an aim to support us, not only for promotion and tenure, but for becoming successful and developing national reputations in our respected areas." In summary, Dr. Reddy is considered a world leader in many research areas related to liver biology and pancreatic/hepatic differentiation. . He has authored over 400 research articles, reviews and book chapters, which his associate, Dr. Satdarshan Paul S. Monga, extols as a demonstration of the tremendous impact his work has had on the field.